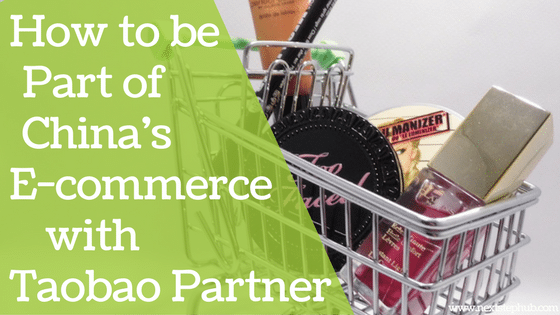 If you’re a foreign entrepreneur who wants to enter the Chinese e-commerce market, it’s wise to get a Taobao partner. 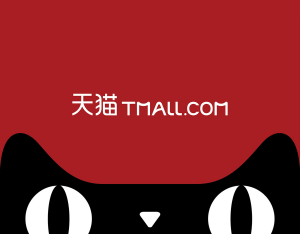 A Taobao Partner or Tmall Partner is a certified agency that gives a one-stop service to build your brand’s presence.This is a team that will help you create and manage an online store on Tmall platform. Tmall is the best online marketplace to introduce your brand. It is where most of the Chinese consumers buy goods with foreign brands. And if you want to build a solid presence t in this platform, TP has the right tools and solutions to support you. How exactly do they help foreign brands? Frank Cho, one of the major TP and the manager of Accomate, shared that it is hard for a businessman to put up an online store on his own on Tmall. His agency started in 2009 and it serves Korean brands such as Amore Pacific, YG Entertainment, and Emart. According to him, it is risky and it has a huge impact on the investment. They hire people, deliver the products, make the inventory and build their flagship store. What adds to this challenge is the brand’s lack of knowledge and experience in China. These challenges can be overwhelming and tedious for those who are new in the business. So, collaborating with TP for your future online store is a smart investment. Getting a TP eliminates the need to communicate with other e-commerce companies. Simply put, a Taobao Partner will manage your platform. They will take care of the operations and IT solutions. For your brand’s awareness, they will be in charge of digital marketing, content, videos and web design. There is also no need for an inventory because they get the products from different brands. Your customer’s satisfaction is their priority as well. They have a team that will give you a data about consumer’s buying behavior and preference. They also implement creative strategies that can improve your customer’s’ shopping experience. In spite of TP’s success, you have to be aware of its struggles. This will help you decide whether you should push for e-commerce or look for other options. First, the Chinese internet companies have decided to invest in offline locations to create a good shopping experience. This is the reason why the traffic on online companies has slow down and the cost in sustaining online sales is high. With these problems, they have to balance their online and offline channels. Second is brands are leaving TPs. Fashion brands like Zara and Eland decided to have their own online platforms. Thus, it gave a negative impact to their TPs such as Baozun and Accomate. Moreover, TP needs huge manpower. As the labor cost increases, it becomes tougher for them to keep their workers. To tie up with a certain TP goes beyond a business relationship. Remember, it is your partner. It’s important to choose a certified Taobao Partner. Tmall certifies agencies if they meet certain standards and conditions. To qualify, a TP must have experience in the cross-border e-commerce and logistics field. They should also have a multilingual staff, an ERP system, IT interface, established international offices and a cross-border warehousing. Aside from certification, pick the TP that has experience in your industry. Your TP should understand the rules that concern government certification of your products. For example, if you have a cosmetic company, a TP with wide experience in that industry can help you enter the Chinese market without breaking the important rules. It’s also best to create a long-term market strategy before you work with a TP. Set clear goals, know your target audience, and examine your brand’s reputation. This way, you’ll know how you should market your brand in China. Booming global brands in China are the ones who blend with their culture. If you want to be one of these brands, then grab the opportunity to work with Taobao Partner.